Yes!!! 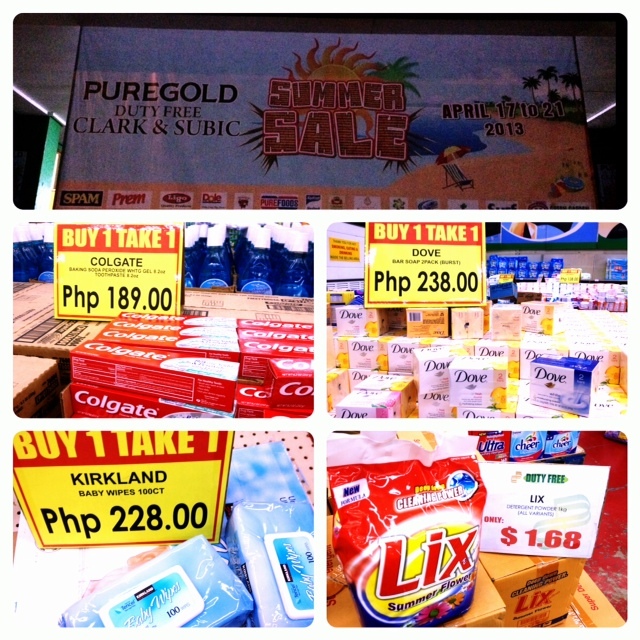 It's the ultimate Sale time in Puregold Clark! Because I'm very very curious since people are asking, and searching for it, so I asked my sister to check out Puregold. Yay! ;-D This is the best time to duty free shop. 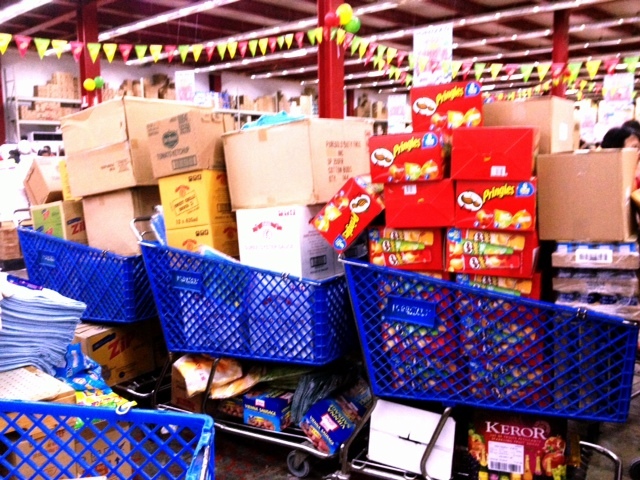 I swear, if you're into hoarding a la doomsday prepper kind, Puregold Clark is the best place ever in the Philippines to do just that. Puregold Duty Free Clark & Subic Summer Sale 2013. Starts today, April 17 to the 21st. And there goes some of the Buy 1, Take 1's...Colgate Toothpaste, Kirkland Baby Wipes, Dove Soap, and very affordable laundry powder. Oh my, they must love Pringles so so much, and Spam too, plus a lot more! Store hours: 9am to 7pm, but even after 7pm, people were still allowed to enter, and there were still a lot of people queuing for the cashiers. the best talaga mamili sa puregold,laging may sale & freebies,ito na yung pinaka magndang nakita kong grocery store,almost lahat ng items eh nandito na..